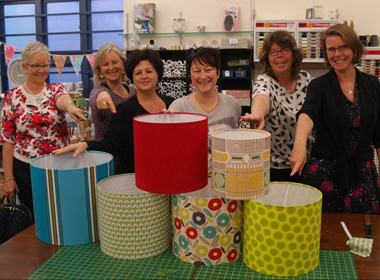 Look, we’re about helping people to make things for themselves, and we’d love you to give it a go – either with one of our kits (available in store or online here), or at one of our classes. However, we understand that sometimes a person just wants someone else to make it for them, and we are happy to do that too. 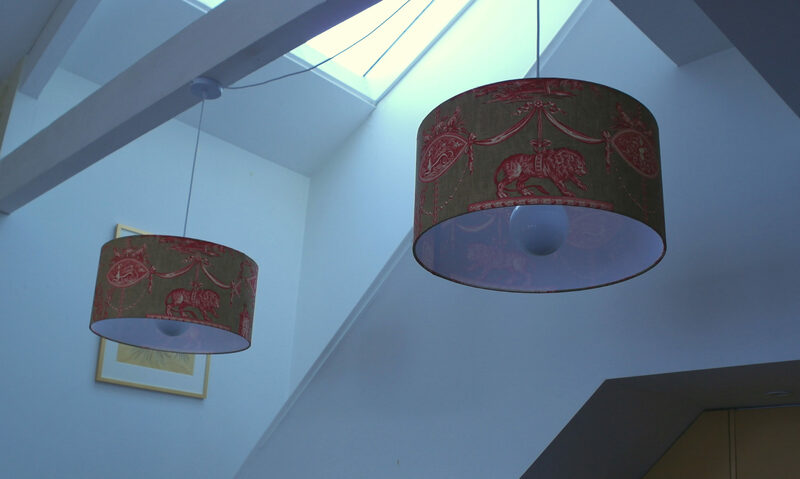 We make “barrel” lampshades from scratch, like in the photo below, and can look at recovering your existing lampshade frame. Prices start from $65 including everything but the fabric, and we need to see the fabric before we can quote for the work. If you are interested in us quoting for this work, please call Maryanne on 04 801 5850, or email by clicking on this link.